The CSA assesses a doctor's ability to integrate and apply clinical, professional, communication and practical skills to general practice. It simulates patient consultations based on scenarios drawn from general practice. The CSA has a similar format to the Objective Structured Clinical Examinations (OSCEs) encountered throughout Medical School and other areas of medical training. The CSA consists of 13 consultations set in a single consulting room, each lasting 10 minutes. The cases are based on real-life scenarios and test a doctor’s ability to gather data, make evidence-based decisions and communicate effectively, both with patients and colleagues. It is a challenging assessment that requires both a broad knowledge base and a good working understanding of GP consultation styles and skills. The patients encountered in the consultations are played by trained role players. The cases are written and by experienced working GPs and each consultation is marked by a different assessor. There are currently 8 separate sittings of the MRCGP CSA each year and each sitting occurs over a period of between 6 and 12 days duration. More information about the MRCGP CSA can be found on the Royal College of General Practitioners website. 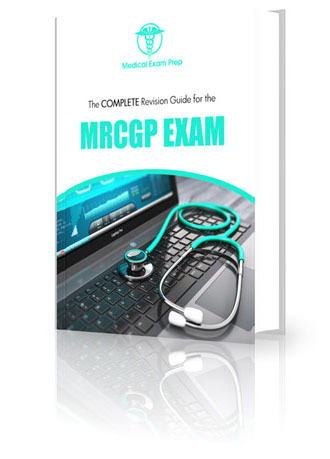 "MRCGP Exam Prep is an excellent resource for those sitting the MRCGP exam. There is an extensive range and number of practice questions, including timed mock examinations and you can very helpfully track your revision progress. It is also great value for money! " "This is a comprehensive, one-stop platform for online MRCGP examination revision. There are a wide range of up-to-date, carefully written questions based on RCGP curriculum that are relevant to the MRCGP examination. It is great value for money and is definitely worth signing up for. " "This is an innovative and well-organised on-line learning tool to help candidates prepare for the MRCGP: designed and run by doctors who are themselves up to date with the College syllabus, it enables those doctors who are preparing for the MRCGP to critically appraise their potential weaknesses whilst getting extensive practice with typical AKT questions. An ideal way to maximise one's chances of passing the MRCGP! "